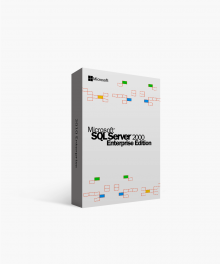 As an entrepreneur embarking on the dream of your own small business or an executive directing an entire department, Microsoft SQL Server 2008 Standard edition will meet and exceed the demands required as your company grows. IT departments always have their hands full. With Microsoft SQL Server 2008 Standard, however, overloaded resources will have more time and capacity to tackle the tasks at hand. Available at Softwarekeep, this server package can be purchased at the lowest price on the internet and downloaded at lightning speed allowing almost instant access to the server that can bring your department or business to the next level of success. Visit Softwarekeep.com or call (877) 315-1713 for trusted and reliable support or help with installation. SQL (Structured Query Language) is used to communicate with a database. 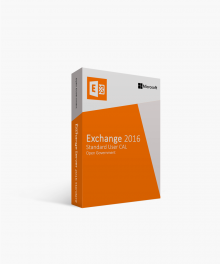 Standard commands like SELECT, DELETE, UPDATE, CREATE and INSERT are used to manage and organize data in multiple tables within the system. Microsoft is just one of many companies that uses SQL as the language used to communicate with small or large-scale databases. Why do I Need a Server? As a business expands, it becomes abundantly clear that more sophisticated and easily managed tools are needed to keep the infrastructure of the organization in healthy order. A server is used to manage access to a centralized location or service in a network. This sort of tool is what is necessary to process information securely, quickly, and more efficiently. 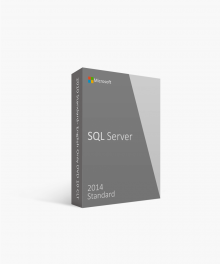 What is Microsoft SQL Server 2008 Standard? Microsoft SQL Server 2008 Standard is a dynamic data-management tool with cutting edge reliability, diversified management solutions, increased security, deployability, and transparency that will allow any enterprise or department to excel in productivity while staying under budget. With so many software companies offering this sort of tool, only one guaranteed Microsoft licensed organization can deliver Microsoft SQL Server 2008 Standard at the lowest price with expert support and reliable licenses. There are many key features important to understand when making a server purchase for your enterprise or department. Please continue reading below for more detailed descriptions of what Microsoft SQL Server 2008 Standard has to offer and how it can benefit your organization. Less IT support/manage from central location – A smaller-scale instead of an ever-growing IT department is what is needed for Microsoft SQL Server 2008 Standard. From a single centralized location, system administrators have quick and secure access to the network. This allows for improved management of instances, applications, end-users, and servers. 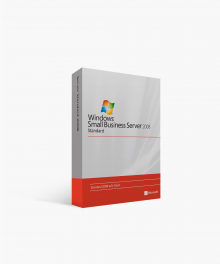 Easily sharable business solutions – With the purchase and installation of Microsoft SQL Server 2008 Standard, business solutions become completed tasks in rapid succession as they are now easily sharable within this server. A minimum or IT support is needed to get small or substantial sized jobs complete. 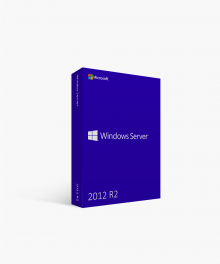 In order to know if this Microsoft Server is the right one for your organization or department, you’ll need to be sure that your current system has the minimum system requirements to meet the specific system demands. These minimum requirements are the framework that will allow this Microsoft server the power, capacity, and scalability necessary to fully utilize the features included. Processor speed: A 1 GHz Processor will be needed to allow this server to process jobs satisfactorily. 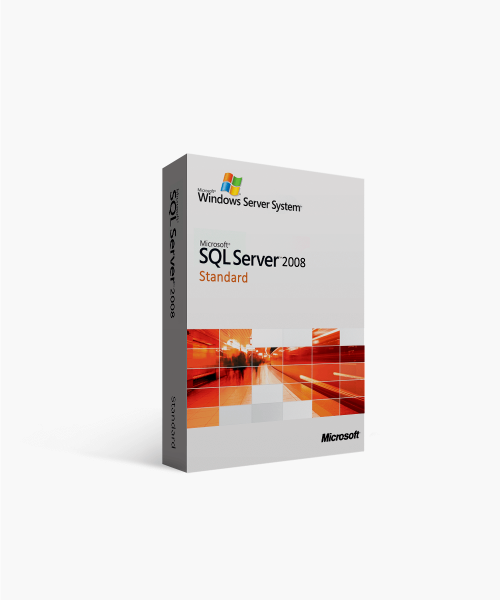 Operating Systems: Microsoft XP, Server 003, Vista, Server 2008 are the operating systems that will support Microsoft SQL Server 2008 Standard. Memory: A minimum of 512 MB RAM will be needed to run Microsoft SQL Server 2008 Standard without lag. We never undervalue the research and time that it takes to decide on and purchase new software for your organization. With a multitude of software companies out there, we’re glad that you’ve taken the time to see what Softwarekeep has to offer. With fake software licenses become more and more prevalent, you can rest assured that any Microsoft licensed software purchased from Softwarekeep is guaranteed dependable. Our expert team is available 24/7 to answer any questions, help with installation, and get your team started using Microsoft SQL Server 2008 Standard almost instantly. Please visit Softwarekeep.com or call (877) 315-1713 to purchase and get set up immediately. $815.99 | In Stock Want it Now? Order and receive your download instantly.